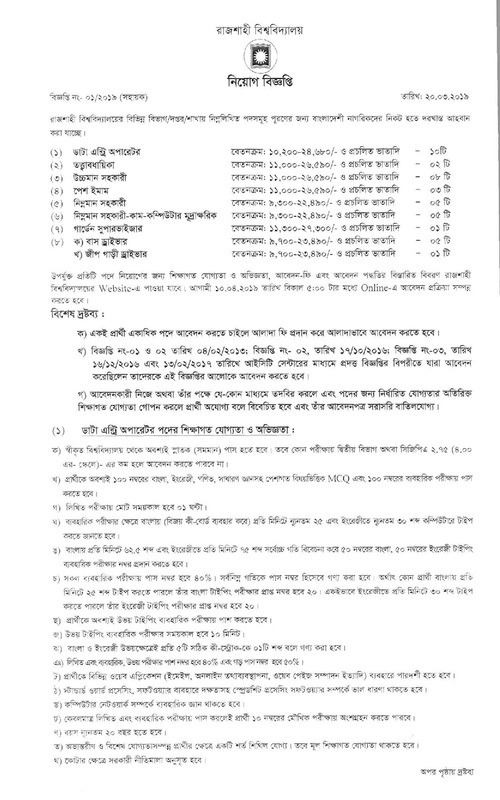 Rajshahi University recently published the notification for the recruitment of 100 people in 15 posts. You can join subject to the condition that you are eligible for the post. You can apply for online papers from 25-03-2019. Applying can be done from 10-04-2019. Candidate should be between 18 to 30 years on 01-08-2019. But the children of freedom fighters / martyred freedom fighters are 32 years old. Interested candidates can fill up the application from the website (http://job1.ru.ac.bd/apply.php) and submit it till 10-04-2019.